Marilyn Mosby has taken credit for creating a special unit which existed before she was elected. Baltimore, MD – Baltimore City State’s Attorney Marilyn Mosby has claimed to have created the Conviction Integrity Unit (CIU) for the Office of the State’s Attorney, but ProPublica reporter Megan Rose pointed out on social media that the unit was actually created by her predecessor. The social media post was made on Wednesday, September 20, and was posted on the official Twitter account of the Office of the State’s Attorney for Baltimore City. The posts were a back-and-forth conversation between Mosby and Megan Rose, formerly Megan McCroskey, who is a reporter covering the military for ProPublica. Mosby replied and said to look at ‘our’ report. 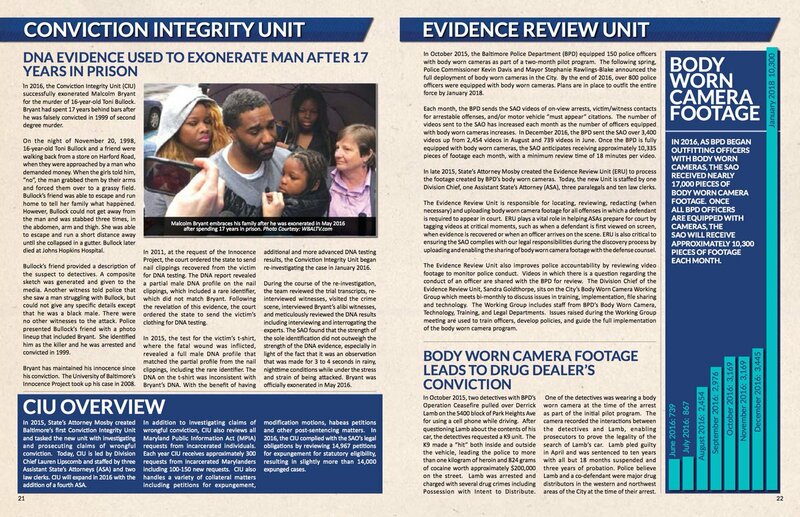 She said “we have high standards and continue to sustain justice in Baltimore.” She also included a link to ‘our’ article on the Conviction Integrity Unit, and included the page numbers that the article was on. In that article, it reads, “State’s Attorney Mosby created Baltimore’s first Conviction Integrity Unit and tasked the new unit with investigating and prosecuting claims of wrongful conviction.” The article goes on to describe in further details what the CIU is and who is now running it. In another tweet, Mosby said, “…We created Baltimore’s first Conviction Integrity Unit.” She also mentioned where statistics could be found. Rose also provided a second reference from the National Registry of Exonerations to prove that Mosby didn’t create the unit. On that web site, it confirms that Mosby did not create this initiative, in a graph showing dates.